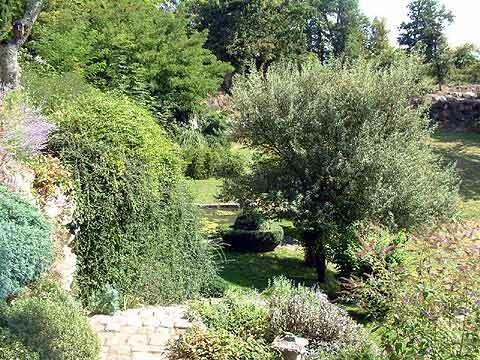 The Jardins de Sardy are definitely one of the best gardens in the Dordogne department. Quite Italian in style with more than a little of the English garden feel. 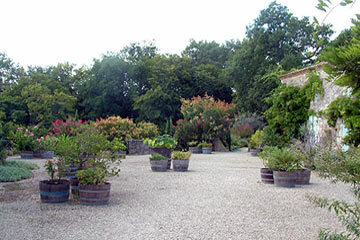 The gardens are situated at Velines near Sante Foy la Grande on the road between Bergerac and Bordeaux. 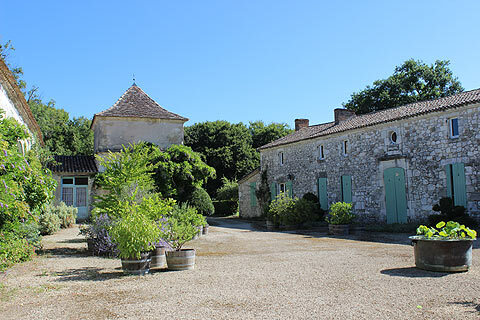 On entering the gardens your first view is the lovely 18th century farmhouse with a gravelled courtyard softened with various trees planted in half barrels. From here the garden slopes gently downhill along a path edged by a beatiful border filled with soft greys and green and livened up with mostly blue and pink flowers. 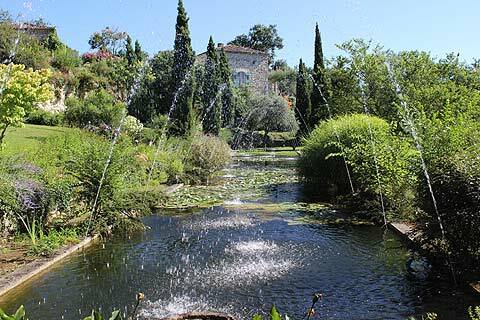 The garden winds down to the highlight which is a huge formal pond edged by water jets which cross over the pond forming wonderful arcs of water above the pond. Looking along the length of the pond your eye is drawn to the tall thin Italian cypreses and above the house whose end room must have a fabulous view over the pond. The edges of the pond are softened with various plants including regal arum lillies. This has to be one of the best ponds I have seen in any garden. 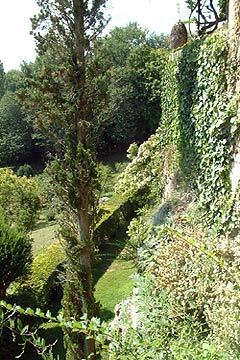 Also to explore is an olive garden with some superb specimen olive trees and there are various picturesque details such as roses growing through railings next to the cellar steps or a huge wisteria whose purple flowers hang over the slope above the olive garden. 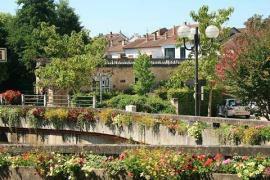 Wonderful in the spring with the purple wisteria flowers and judas trees as well as a mass of roses and valerian. The spring colours are brightened by the lime green 'flowers' of the euphorbias. However summer also offers much to see including lavenders and arum lillies and autumn offers some excellent autumn colours. The garden contains lots of 'golden rain' trees, Koelreuteria paniculata. These have become one of my favourite trees since living in the Dordogne. In early spring they are covered with sprays of golden flowers but better yet are the seed heads which start out like acid-green chinese lanterns all clustered together at the end of each branch. These gradually deepen in colour to a burnt orange and can then hang on all winter as clusters of dried seed-heads. In the Sardy gardens you can see them in various different stages of colour depending on their aspect. 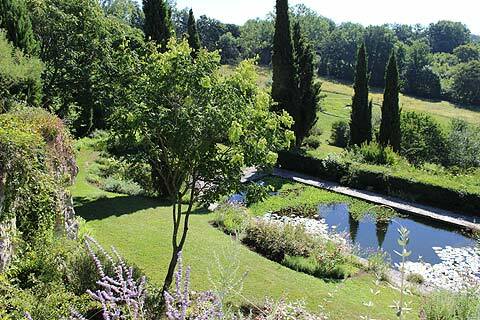 Les Jardins de Sardy have been classified as a 'Jardin Remarquable'. 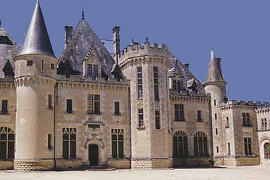 The gardens are open from the easter holidays until the Toussaints holiday (end Oct/begining Nov). 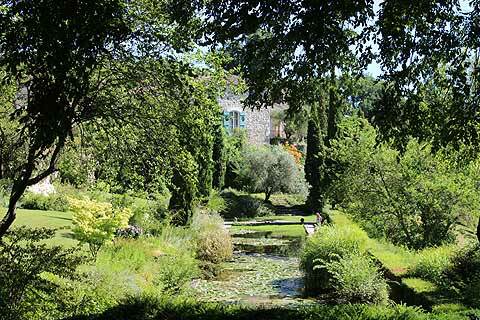 The gardens are open every day from 10.00-18.00. There is a Salon de Thé overlooking the gardens where you can enjoy teas and coffees as well as a selection of cakes and ice-creams. Entrance: 6 euros for adults and free to under 12s. 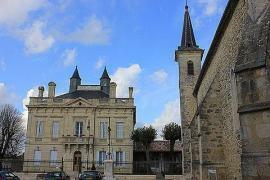 It is possible to taste and buy wine from the Domaine du Sardy whilst you are visiting the gardens. 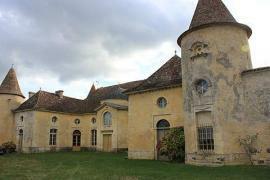 The garden is in the commune of Velines between Castillon-la-Bataille and Bergerac. 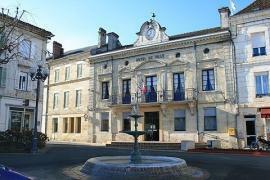 The garden is well-signposted from the D936 which is the main road between Bergerac and Bordeaux. 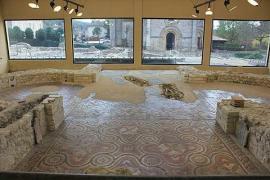 Montcaret with its Roman mosaics is nearby as is Saint Michel de Montaigne, birthplace of the French philosopher Michel Eyquem de Montaigne.